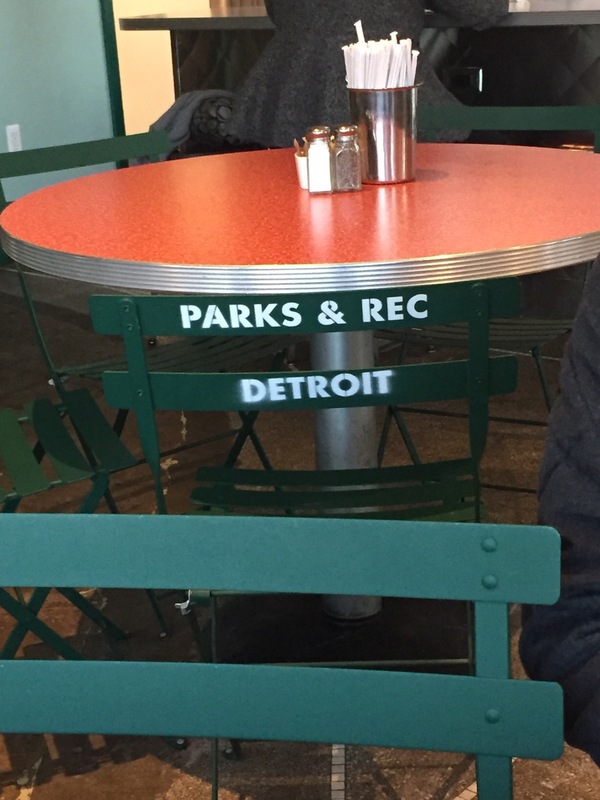 Love At First Bite: Parks & Rec Diner – Eat. Rest. Repeat. 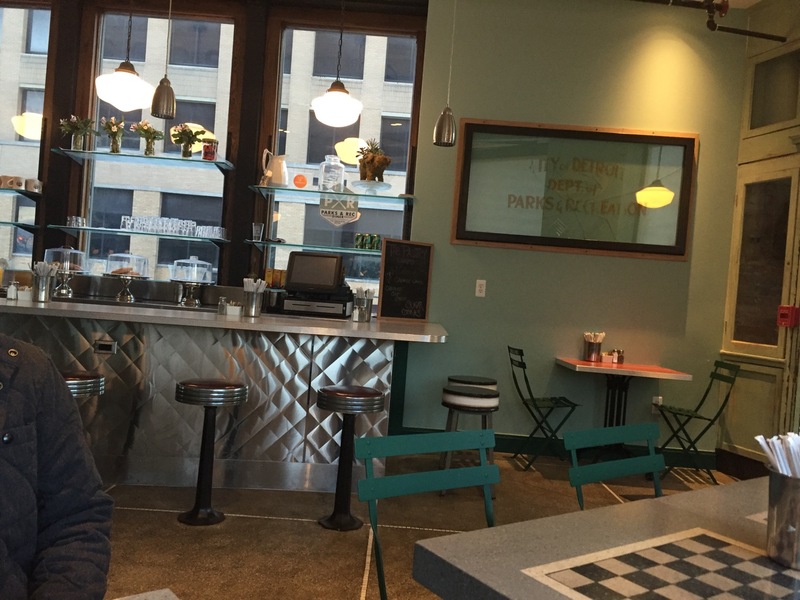 Parks & Rec, you’ve answered all our prayers for an amazing breakfast spot in Detroit. 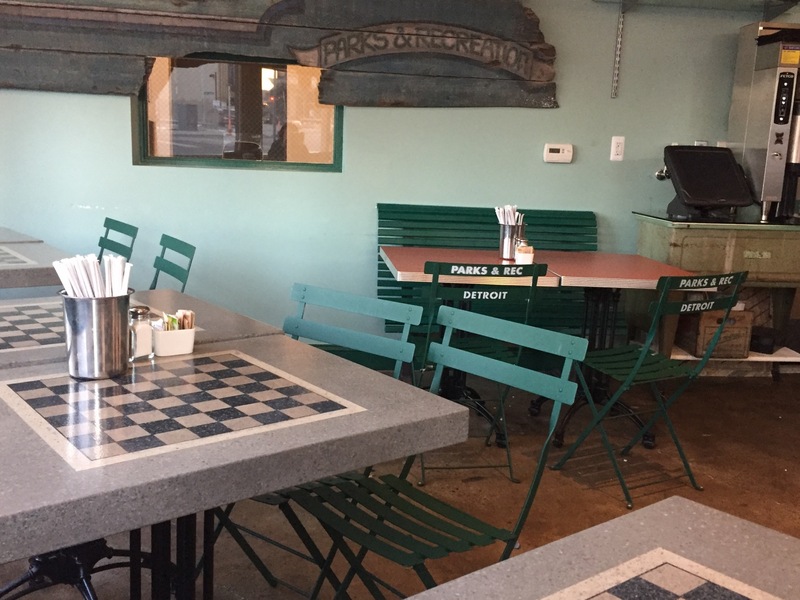 This is so artfully decorated, with historical memorabilia, park chairs and tables…so clever, yet so chic…..it’s exactly what we’ve been needing in the city. 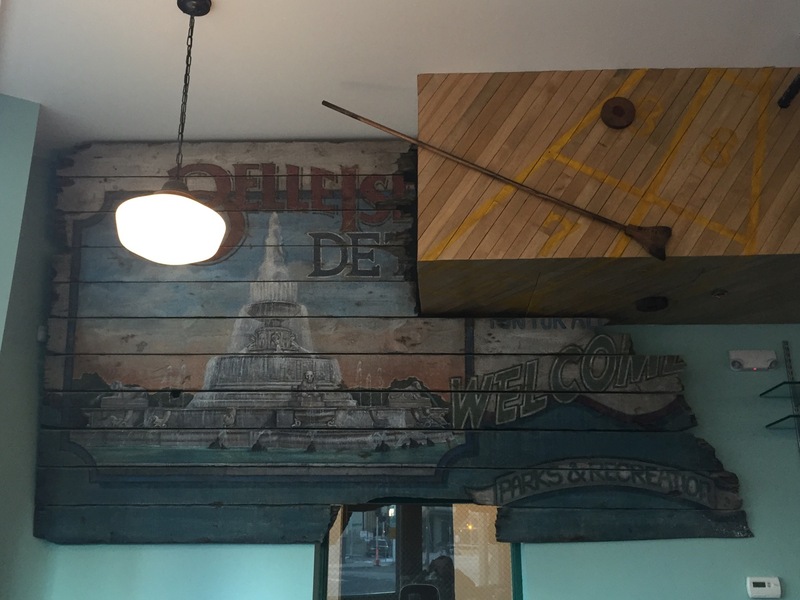 Just as an FYI, I’ve attempted to dine here multiple times and have learned, if you don’t go early enough, you’ll be stuck waiting in a sea of hungry Detroiters. 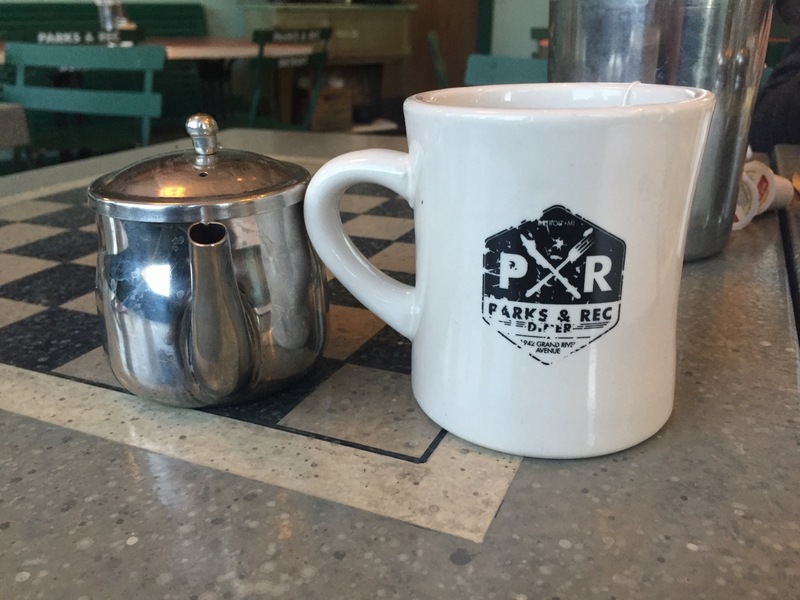 My husband and I decided to wake up super early one Saturday morning to beat the morning rush….and we certainly did not regret it! Seriously, how cute is this stuff? 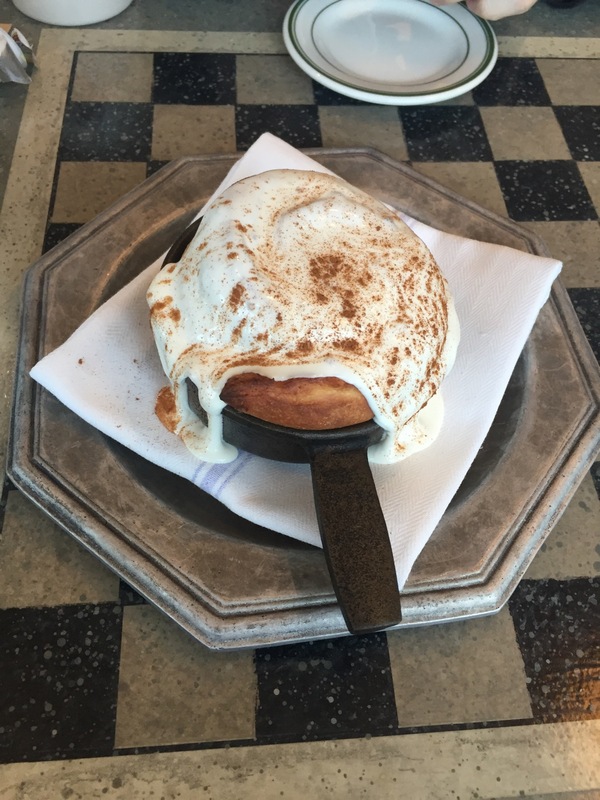 The Cinnamon Roll: so decadent, so soft and rich…the bread melts in your mouth. 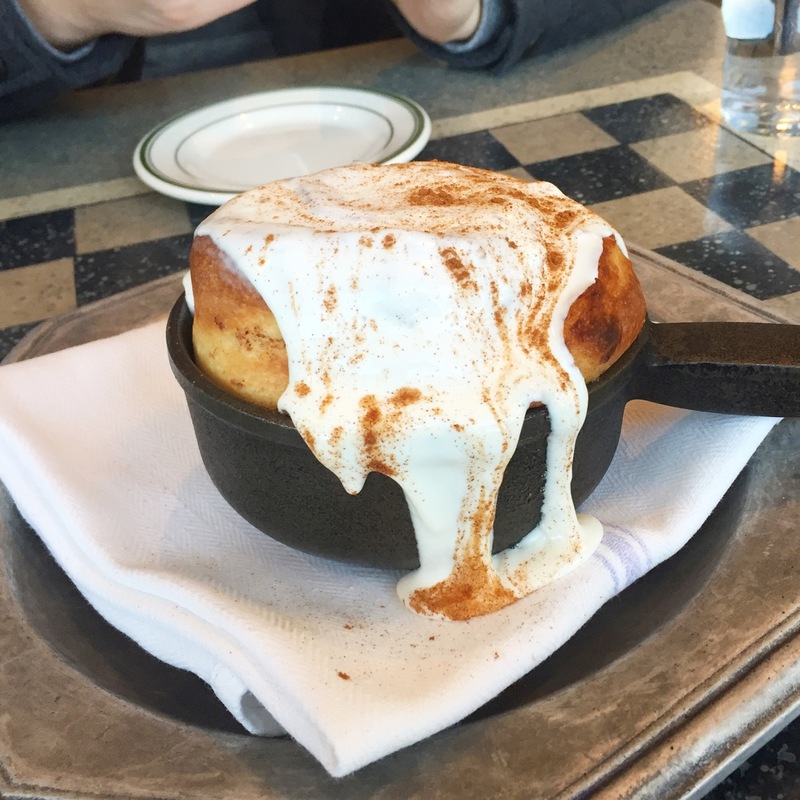 Not quite like Cinnabon’s cinnamon rolls, if that’s what you’re accustomed to, but certainly a fresh baked artisan version, to say the least. 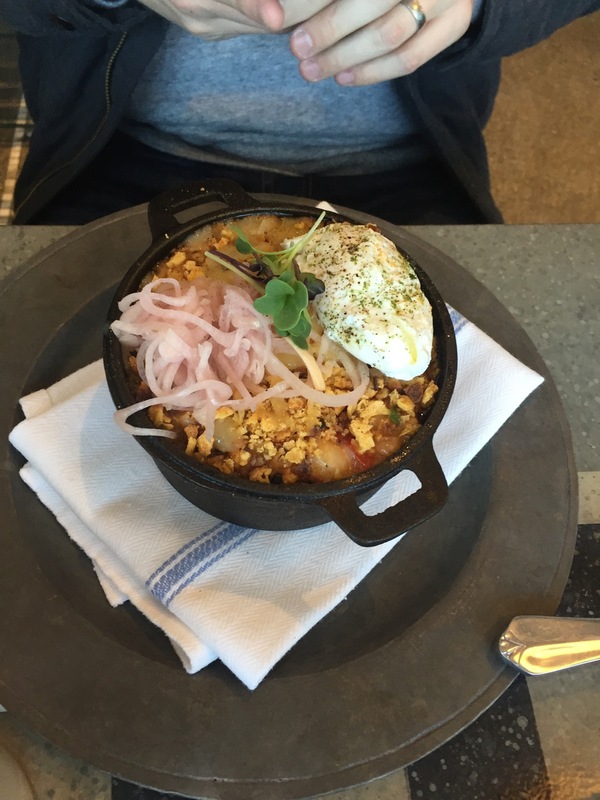 Pork & Beans & Eggs: pork cassoulet, breadcrumb, tomato, pickled shallots, poached eggs, herbs. This is pork and beans, but on a whole other level. It is really rich, and hearty, with meaty goodness, and lots of love. Be prepared to get super full off of this. 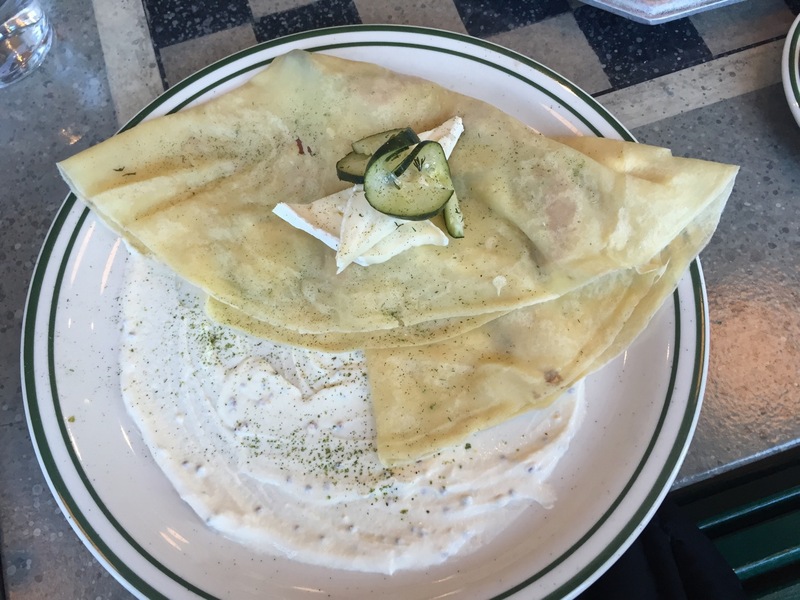 Meat & Pickles Crepe: house made terrine, pickles, & local brie. 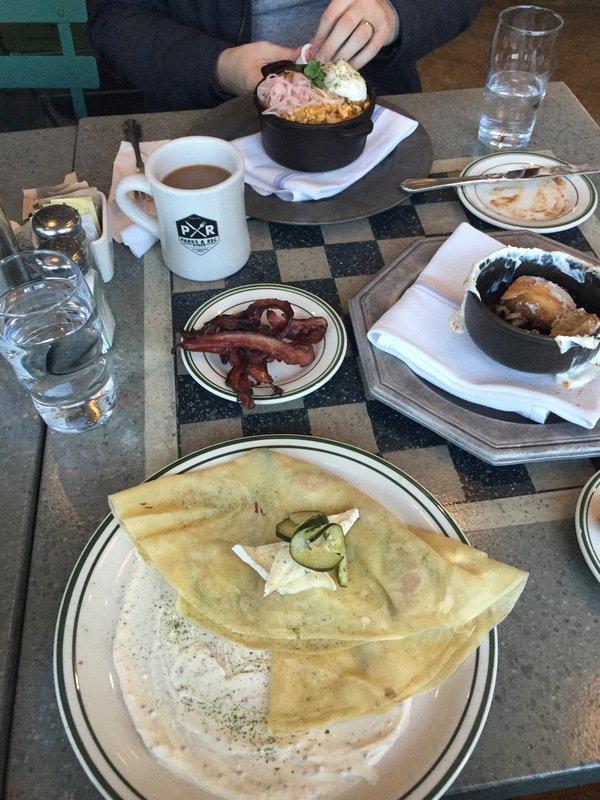 Who knew terrine, brie, and pickles made such a winning combo!? This blew me away. 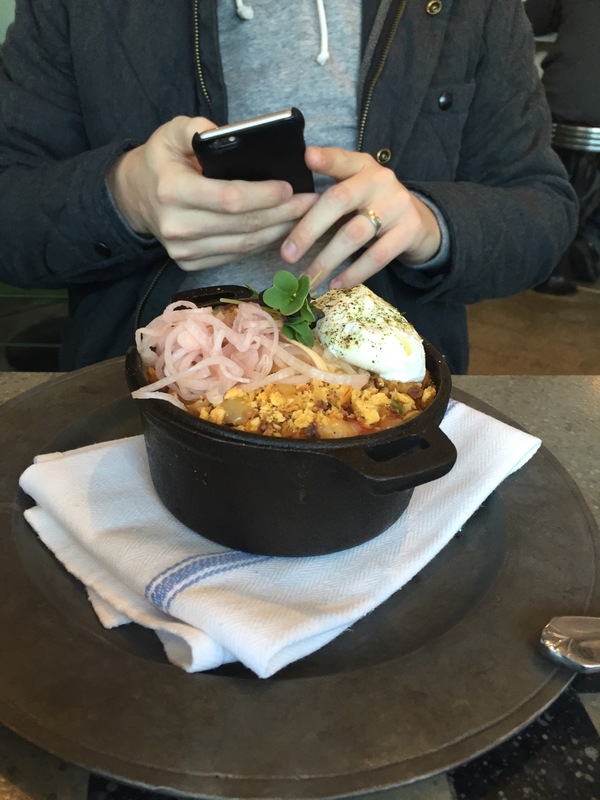 I was actually pleasantly surprised with how great this breakfast item was. 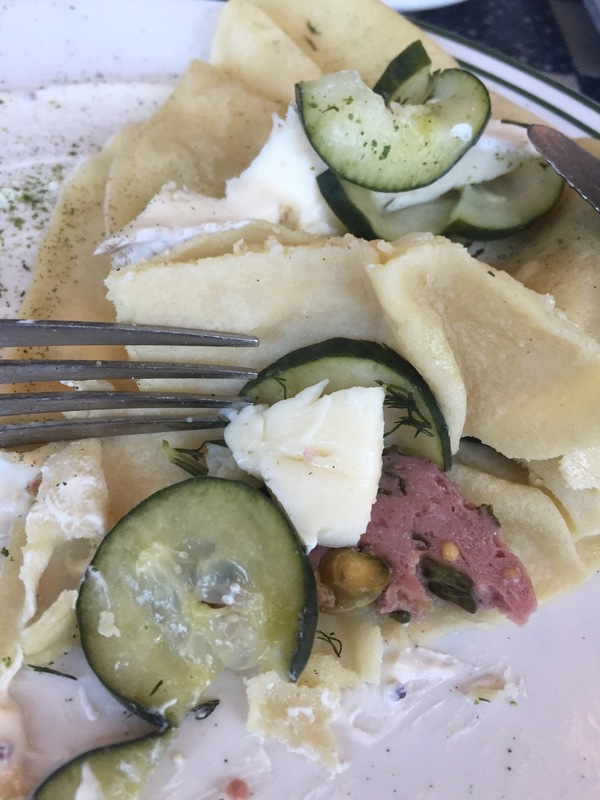 The terrine was perfect, the cheese was soft, but not melted, and the pickles were very refreshing, wrapped in a perfectly chewy crepe. Wow. I will warn you though, be prepared for the loads and loads of dill. The amount of dill might be a tad overwhelming if it’s not your cup of tea, but you can certainly ask them to go lighter to your preference. 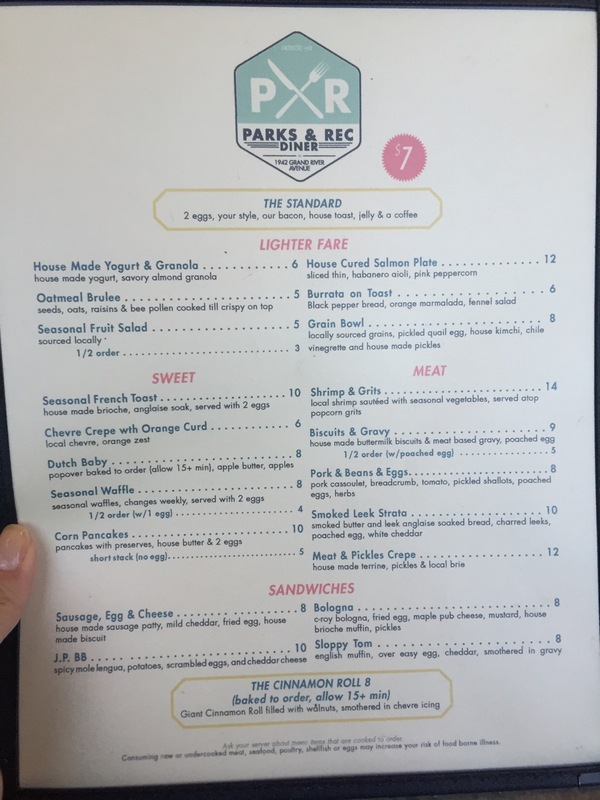 I don’t know how I forgot to take a picture of the lamb bacon, but yes…that bacon is in fact made from lamb. It was SO much better than I expected. It wasn’t extremely salty like most cured pork bacon is, and was quite mild in lamb-iness. What I mean is, it had no gaminess whatsoever. It was such a light and mild bacon that could honestly go well with anything and everything. 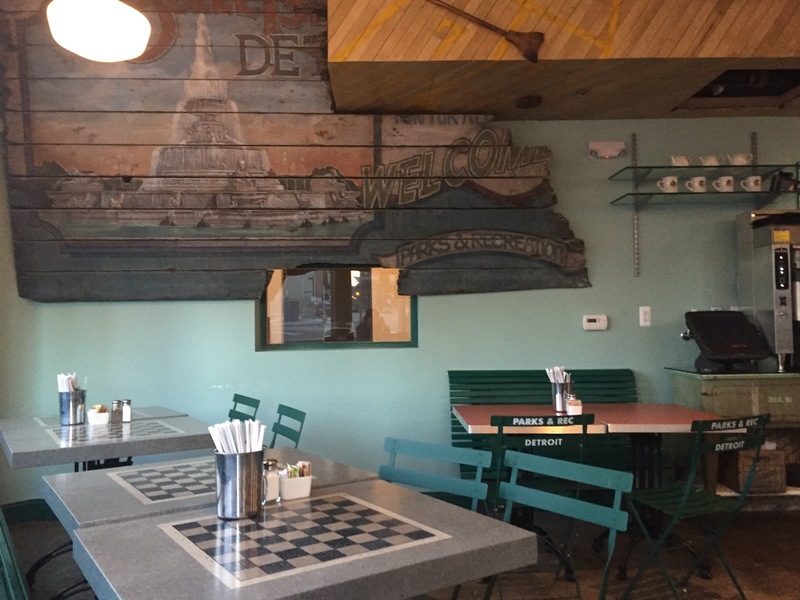 My experience was great, the food was fantastic, and the atmosphere of the diner gives you a glimpse into the past. I highly recommend this to all the breakfast lovers out there!